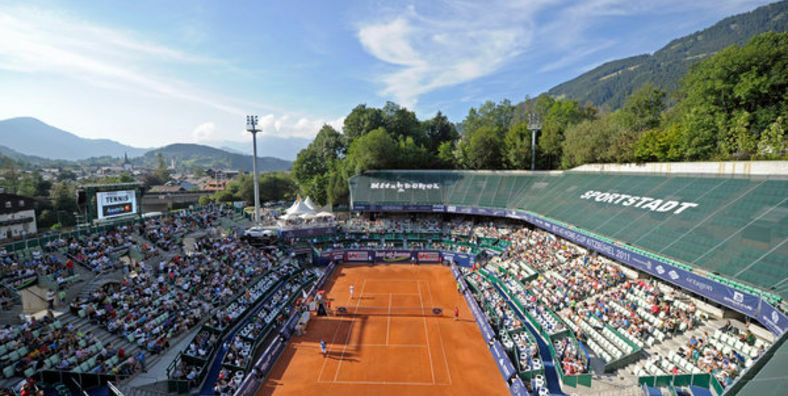 ATP World Tour tennis returned to Kitzbuhel in 2011 after a one-year absence, with Robin Haase excelling to win his first ATP World Tour title before repeating the success in 2012. Austrian tennis is currently buoyed by Dominic Thiem – The 20 year old Austrian is capable of big things and could shine this week. Fellow Austrian Jurgen Melzer, plays in Kitzbuhel for the ninth time (8-8 record). His brother Gerald Melzer gets a wildcard and Andreas Haider-Maurer gets a place in the draw. Defending Champion: Marcel ‘Grunter’ Granollers – The Spaniard comes in as the #2 seed on a 13-19 record but has a good draw. Nasty Floater: Jurgen Melzer – The 33 year old vet is not done yet and loves playing in his native Austria. Slumping: Juan ‘Pico’ Monaco – Former world #10 is ranked 105 but still has class to win the tournament. Needs a good week. On Fire: Robin Haase – The 2-time former champion here is having a patchy season but loves to play here and coming into form. My pick: Phillip Kohlschreiber – Former finalist here seeks his 2nd title this year on an impressive 29-17 match record. Did You Know? The event has been dominated by South Americans in recent years, with Argentines Juan Martin del Potro, Juan Monaco, Agustin Calleri, Gaston Gaudio and Guillermo Coria, and Chilean Nicolas Massu all triumphing between 2003-2008. The big 500 tournament in Washington D.C is an important even in the US Open Series and the tournament offers more than $1.2 million in total financial commitment. Only 1 American gets a wildcard and that goes to 16 year old Francis Tiafoe ranked 1135, who in 2013, became youngest winner (15) of Orange Bowl 18s Championship. John Isner is the best bet for an American winner but he’ll have stiff competition from some heavyweights in the form of Berdych, Dimitrov and Raonic. Defending Champion: Juan Martin Del Potro – Still on the road to recovery from wrist surgery again. Nasty Floater: Sam Querry – If there is anywhere he can regain traction it’s on American hard courts. Up and Coming: Jack Sock – He’s beginning to make good on his potential but gets a bad draw. Slumping: Richard Gasquet – Only played here once and lost 1st round. This season he’s been a ghost. On Fire: Ivo Karlovic – Made 2 finals in a row in Newport and Bogota. In fearsome form right now. My pick: Grigor ‘Baby Fed’ Dimitrov – 3 titles this year and Maria Sharapova on his arm. Confidence is high for the Bulgarian.